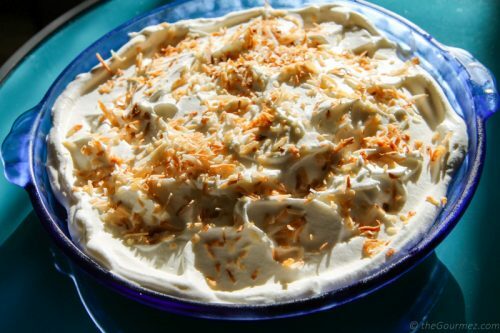 Coconuts are all the rage in cooking, eating, and beauty products these days and for good reason–they’re delicious! You thought I was going to say healthy, weren’t you? While that may be so, I am generally in the skeptic camp when it comes to health claims for natural products, as they so often become trend items rather than the subjects of long-term, high quality research. But the long-term study of my own taste buds has always warmly welcomed the beautifully round, humorously hairy, coconut. So when Skinny & Co., a young company specializing in 100% raw production of coconut oil, contacted me, I was more than willing to try their products. Obligatory disclaimer: That means the products in this review were entirely free to me. I received five 2 oz. 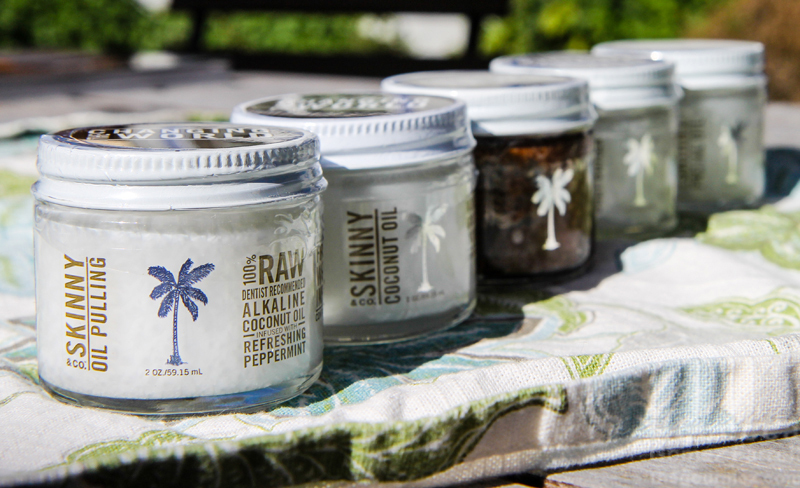 jars of coconut oil from their product line, essentially a sampler platter. They also sell soaps, shampoo bars, and lip balms. 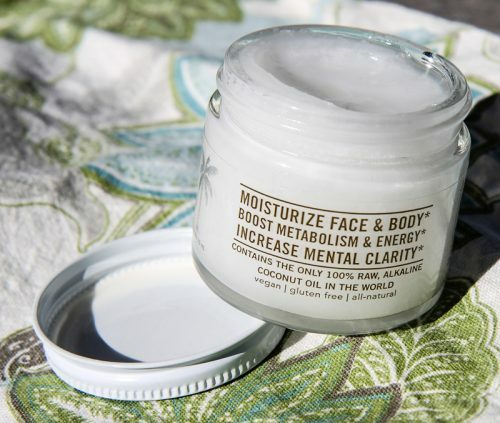 Coconut oil liquefies above 76 degrees Fahrenheit, which makes it ideal for many vegan or raw dessert recipes but a potential for mess if you plan to take a coconut oil beauty product with you on a hot day. These might not be the products for that, but after a month of use, I’ve found them to be great for a daily, simple beauty routine at home. Expect them to be greasy on application—they are oil—but I found my skin absorbed them quickly. These three items are very similar. The only real difference is in the natural essence added to them along with the oil. The facial oil, which comes with lavender, was ideal for makeup removal. Let’s not pretend I use makeup often, but once a month or so, I apply mascara. Even for that little amount, I find removal to be super annoying as many items billed as makeup removers take a lot of rubbing and liquid to work. Not so for Skinny & Co., as I merely dab a little oil on a tissue then wipe that mascara right off. The body butter had almond in it, though the one currently advertised on the website has jojoba oil, rose oil, and Vitamin E instead. There is a whipped version for sale on the website that does use almond oil, but honestly, mine never smelled like almonds anyhow. Rather, it had a mild herbal scent. It’s worked great to lessen the amount I reach for something to moisturize my skin, especially for those chafing elbows. Between the facial oil and the body butter, I’ve used maybe half of one container, so an ounce in all, in a month. The oil-pulling? Y’all, I was not going to try that. I’d never even heard of the concept before; the idea is that you swish an alkaline oil in your mouth for 5 to 20 minutes (how long?!) to promote oral health before spitting it out. I have a major gag reflex; there is nothing I can keep in my mouth for that long—make whatever jokes you need to. But I did love its creamy peppermint smell so I used it just like lotion or lip balm. Oh my word, people, this smells AMAZING. I was in love from the first moment I opened the jar, as the smell of fresh cookies wafted out. Actually, wafted is too soft of a word—that smell punched me right in the sweet tooth. I wanted to eat it, and the best thing about Skinny & Co is that I could. All of their products contain edible ingredients, and for the sugar scrub that’s coconut oil, vanilla bean, and coconut sugar. 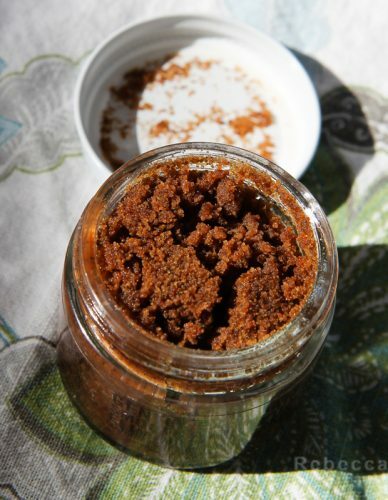 Now, that doesn’t mean you want to eat them, as I found my sugar scrub too strongly vanilla to be truly tasty on the tongue, but it made my bath feel extra luxurious. The scrub melted faster than I could rub it in, so I’m not sure how well it exfoliated, but it sure smelled good while attempting to do so. 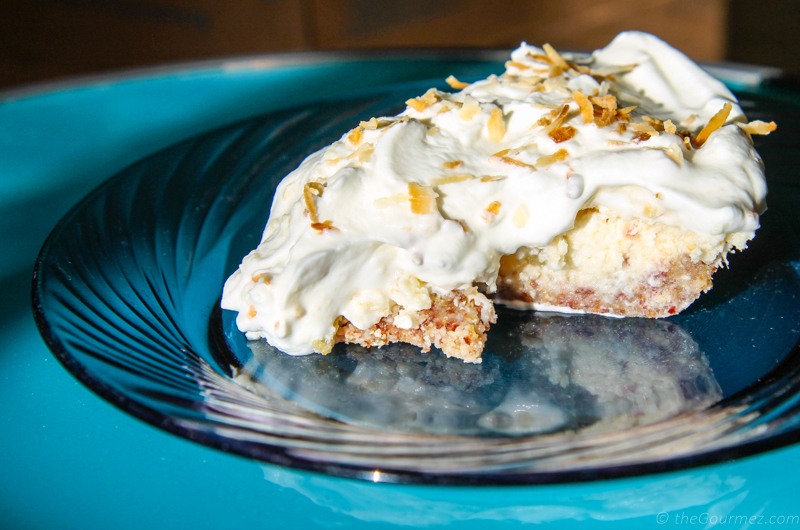 The final jar was pure, raw coconut oil, and I decided to use it to make a raw dessert, the pina colada pie from Heather Pace’s Sweetly Raw Desserts cookbook, which I reviewed here. It…turned out well! The dessert uses coconut throughout, some I’m not sure I could distinguish the Skinny & Co. oil used in the filling, but it performed its job of providing a creamy, smooth base that went great with the pineapple chunks folded into it. So What Makes Skinny & Co. Different? There are many coconut oil lines on the market now, and Skinny & Co. primarily differentiates itself by offering 100% cold-pressed, raw oil, an extraction process that results in oil that is never heated along the line and thus more alkaline than others. Cold-pressed, like oil-pulling, is a concept out there that I often think gets more hype than it deserves for its nutritional value, but I smelled and tasted a huge difference between the Skinny & Co. oil and a grocery store oil I had on the shelf. It’s essentially the difference between drinking coconut water straight from the shell and eating a handful of toasted flakes. Both are good, but the flavor change is striking. 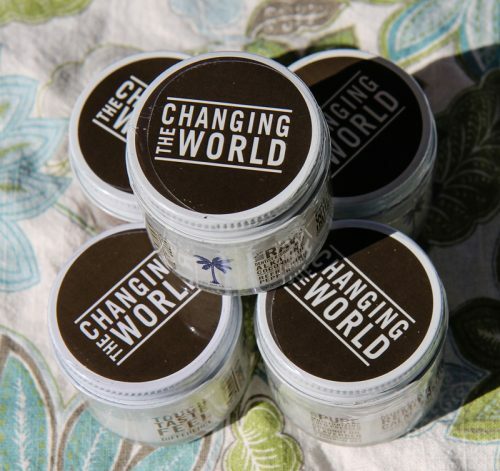 Skinny & Co., founded by the Geddie brothers of Indianapolis, also partners with suppliers from Vietnam, who harvest the coconuts from a single species of coconut tree, allowing for a consistent product without having to achieve it through heated extraction. Twelve coconuts yield one 16 oz. jar. The 2 oz. sizes I tried range from $8–$22 depending on the product, and sizes go all the way up to 128 oz. These aren’t cheap products, but I find them to be quality ones, for sure, and I’m probably going to pick up some soap and shampoo bars for myself when I’m feeling ready for a bath and beauty splurge. You can shop for all their products here. Sampled throughout August and September 2016. 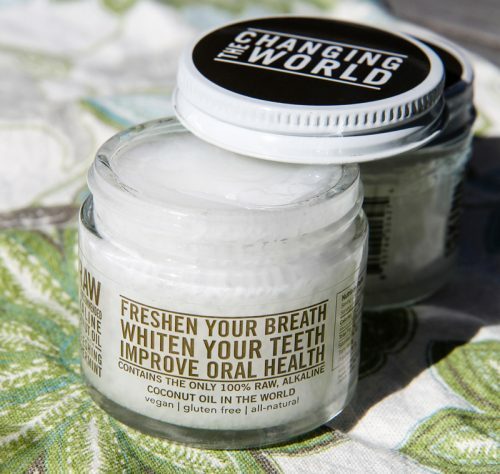 As more and more Americans appreciate the fantastic flavor and health benefits of coconut oil, many more excellent brands show up on store shelves. My favorite happens to be Sun Beams Brands, because it’s made from certified organic coconuts, which have not been treated with chemicals or fertilizers. Plus, it comes in a generously proportioned container, so I always have enough to share with my beloved five-pack of dogs! You may try to see the product now here. Thanks for sharing your fave coconut oil product!